The Williams Hydraulics 4M04T 4 Ton Maintenance Kit sets are portable for easy use in the plant or on the job site. It comes with a custom fitted, rugged blow molded storage case. 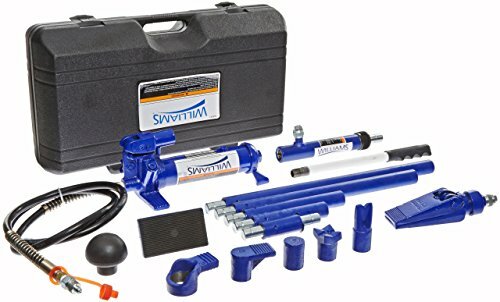 The Williams Hydraulics 4M04T 4 Ton Maintenance Kit is designed for applications of pushing, spreading, pressing and more. Pumps are rated from 8,000 to 10,000 psi. The Williams Hydraulics 4M04T 4 Ton Maintenance Kit has a collapsed height of 11.00 inches and an extended height of 15.75 inches. It features 14 attachments. If you have any questions about this product by Williams, contact us by completing and submitting the form below. If you are looking for a specif part number, please include it with your message.